We are a “two sport” family. From July until February our schedules are dictated by football and basketball season. Games, practices, scouting games, film review, tournaments, “shoot arounds,” late practice one week then early practice the next week, games three times a week. My head spins just trying to keep up with it, and then spins again as Coach is in and out the door trying to keep up with his schedule! This season, for the first time, our almost five-year old daughter has started noticing this busyness and noticing Coach’s absence. Perhaps she’s noticed it before, but this year she is vocalizing it. Almost daily when I pick her up from school I get the usual question: “Is daddy coming home tonight?” Well, now obviously he is going to come home but the question is when. How late will they practice? Is the game home or away? In this moment, when I look into her little questioning and hopeful eyes, I must remember and react in the best way possible. 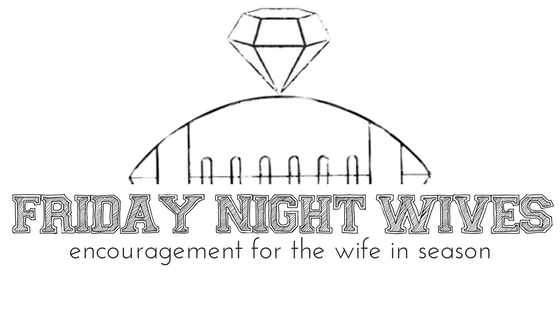 I am very supportive and proud of what my husband does, but at times it is frustrating. It’s hard for us to balance schedules and family time and still come out on top. I don’t resent him for what he does and I never want our daughter to resent him either. We are his biggest fans, but we are also keenly aware that what he is called to do (and yes it is a calling) takes him away from us. I never want her to think that he chose something else over her. Our tone as well as our words will set the course for how she views what he does and why he is gone. Years from now, she will be impacted by this and we have the ability to determine whether that impact will be positive or negative. They look to us; they rely on us to set the tone. We are their guide through this busy season and how we steer them will determine whether they grow up respecting or resenting their fathers. I have not mastered this; I am a work in progress. But I think by being aware of this responsibility is step number one. So here’s ways that I think you can respond when your children ask and wonder about Coach’s absence. Always use positive words AND a positive tone. If my husband has practice, I let her know that’s where he is. If she says she misses him I say, “I do too and I will make sure he comes to tell you good-night as soon as he gets home!” Let them know they have a big game coming up and they need practice so they can get better and hopefully win. Plus that’s just good life advice! Celebrate that you have time together. If my daughter is sad that daddy isn’t coming home right after school, then I tell her we can play a game when we get home. If he has an away game on a Friday night that we can’t drive to, we have movie night and eat popcorn and laugh all night. Talk to them about their dads’ impact. Let them know what their dad does is an important job; he is investing in young kids’ lives and building up their self esteem. He is being a role model. We need him at home but his players also need him and look up to him. Involve them in the season/sport. Take them to games, stop by practice after work, get to know the players. I personally think that if the kids are involved and can see what their dad does, it goes a long way in their understanding of why he does it. Your kids will know the players names and feel like the ball field (or basketball court, etc) is their second home. It won’t be so foreign for their dad to be there because they spend half their time there as well. My husband coaches girls basketball and when he gets home, my daughter loves hearing about the girls and asking about them by name. “How was Sabrina? Did you talk to Caroline?” It makes them feel a part of the team. Because they are! Now I understand this is written from the perspective of a mom of a young child. What this looks like for an older child could be different. But don’t miss out on realizing that no matter what age they are, there will be resentment and we can help influence whether that festers or goes away. We must realize how important it is that we support through actions and through speech. Right now if you ask my daughter what she wants to be when she grows up she will say “a mommy and a coach.” And I would not be more proud if that’s what she becomes. Amy lives in metro Atlanta with her husband, Blake, and their four-year-old daughter, Stella. They are in the process of trying to adopt a baby. She works at Woodstock City Church as a Groups Director for their preschool department. 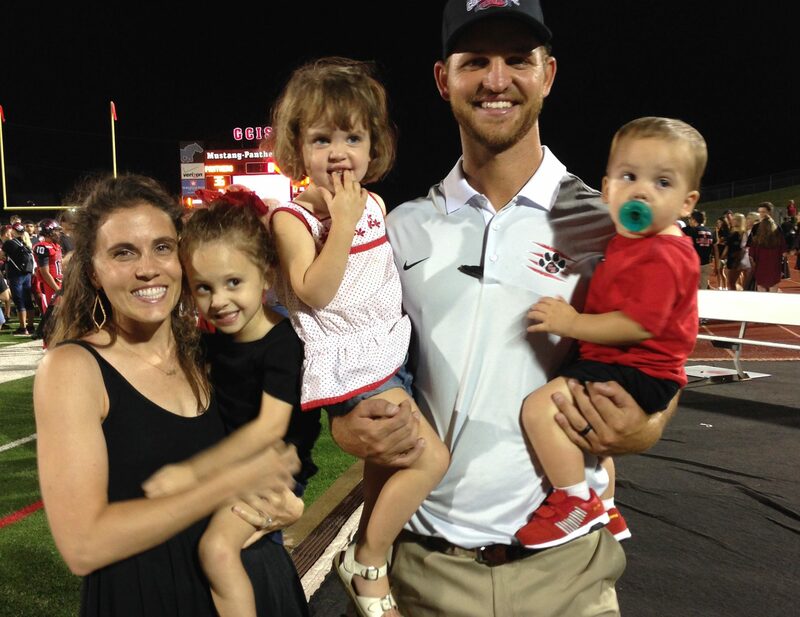 Her husband teaches at River Ridge High School where he also coaches football and basketball. They have been married 8 years. They love spending time together as a family, going to festivals, parks, museums, and going to concerts. In her free time (if I have it) she enjoys watching Netflix, drawing, painting, reading, doing puzzles, and graphic design.